To actively engage and support young people on their personal development, empowering them to make a positive contribution to society. 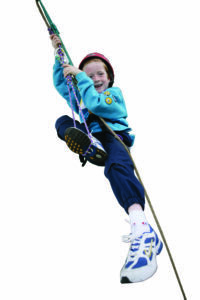 The 14th Cambridge Scout Group is one of the oldest in the county. We have very active Scout, Cub and Beaver sections, providing Scouting activities to over 70 young people in the Castle area of Cambridge. Our aim is to enable young people to achieve their full physical, intellectual, social and spiritual potential, as individuals, as responsible citizens through the provision of exciting and adventurous activities with progressive training based on the Scout Promise and Law guided by adult leadership. There are plenty of opportunities for adults to become involved as Leaders, Assistants Leaders, Sections Assistants, Administrators and as Group Supporters. If you would like to be involved with our Group then please contact us.